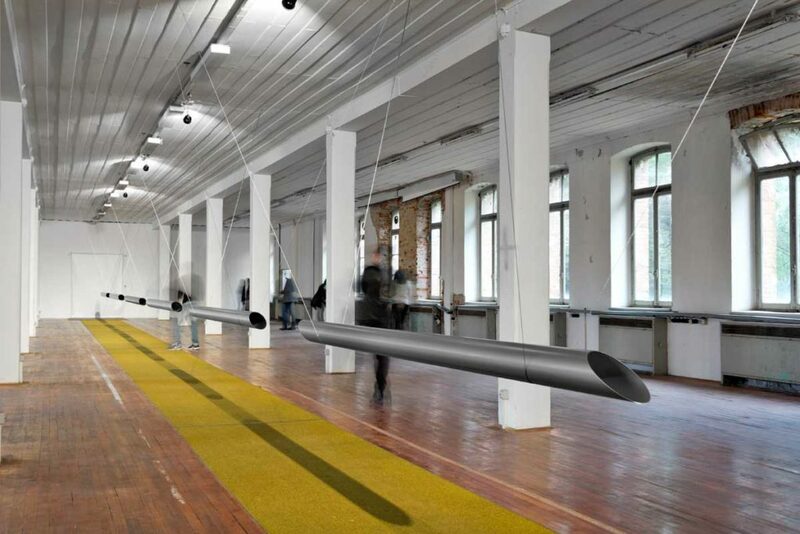 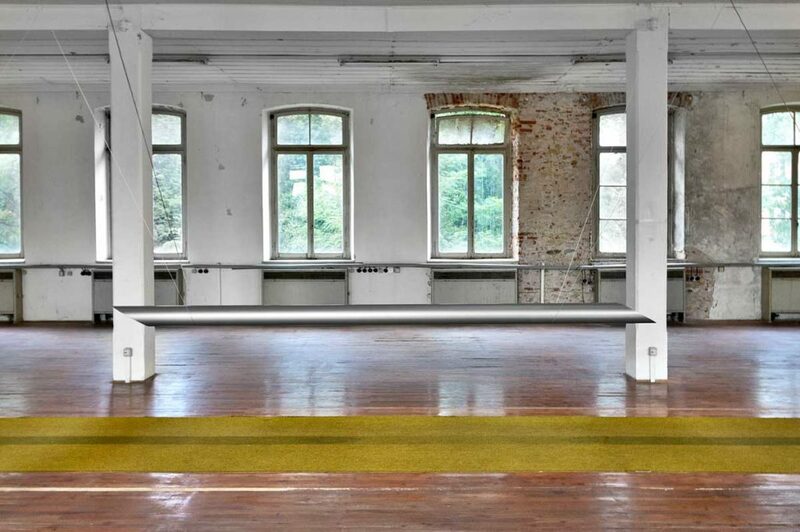 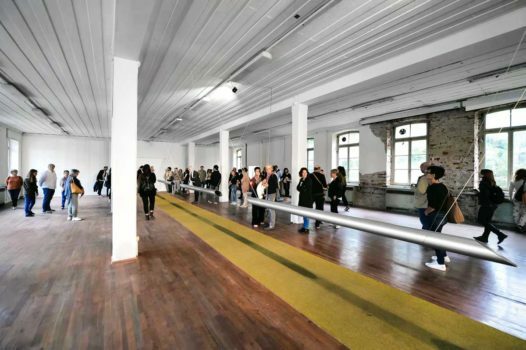 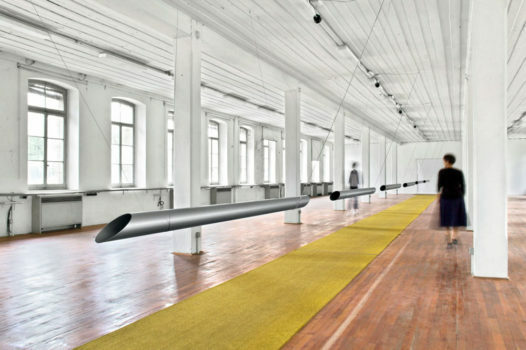 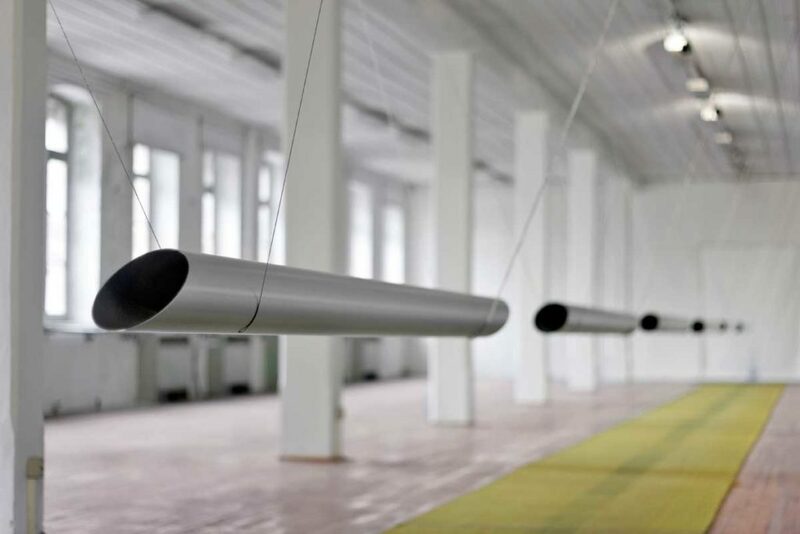 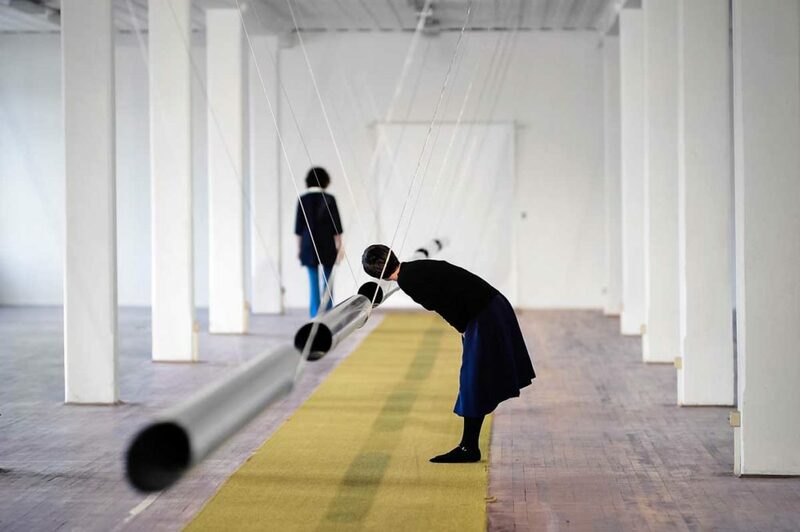 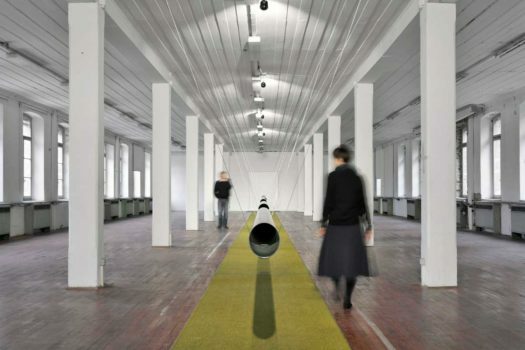 This sound installation was displayed inside Fabbrica Alta, a former six-storey-high wool factory in Schio (Italy). 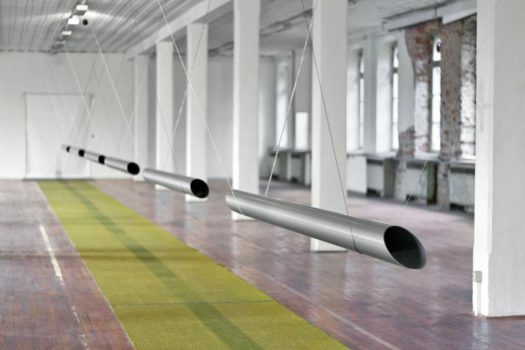 Six horizontal aluminum pipes, each as high as each floor of the building, are hanging from the ceiling, creating a long central perspective line that metaphorically represents the six-storeys of the factory. 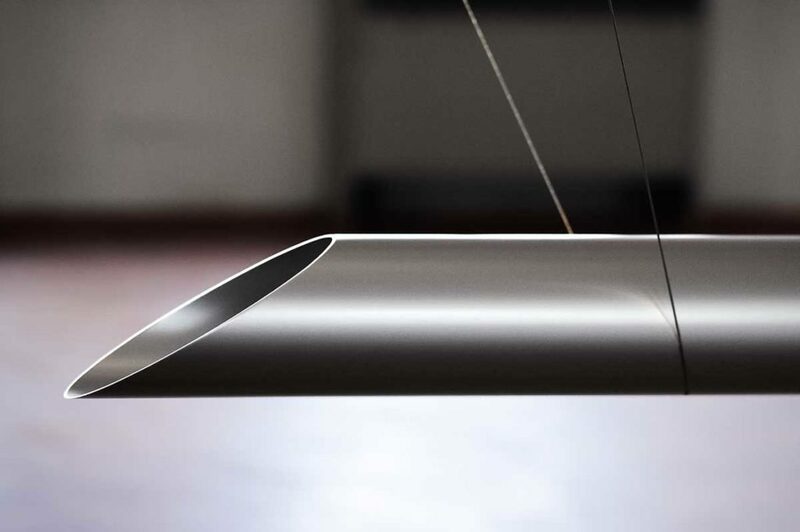 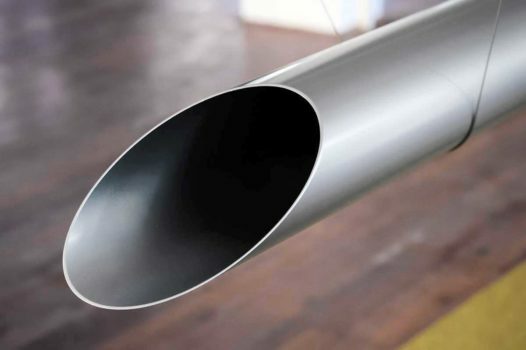 The loudspeakers placed inside the pipes emit sound waves tuned to the harmonics of the resonance frequencies of the building, so as to create – not only visually, but also acoustically – a spatial perception of Fabbrica Alta.